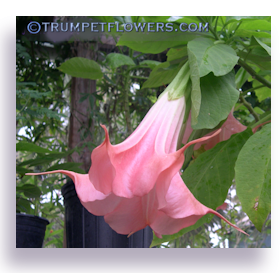 Brugmansia Madeline in all her glory! 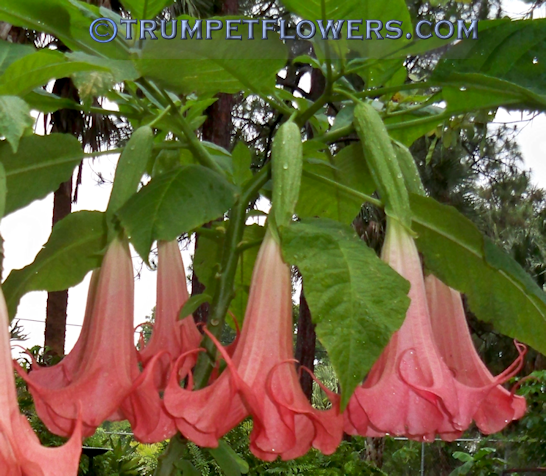 Beautiful Madeline brugmansia blooming for me end of April 2013. 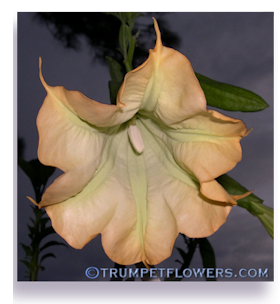 A very strong scent of Baby powder emits from the blooms in early morning and late evenings. 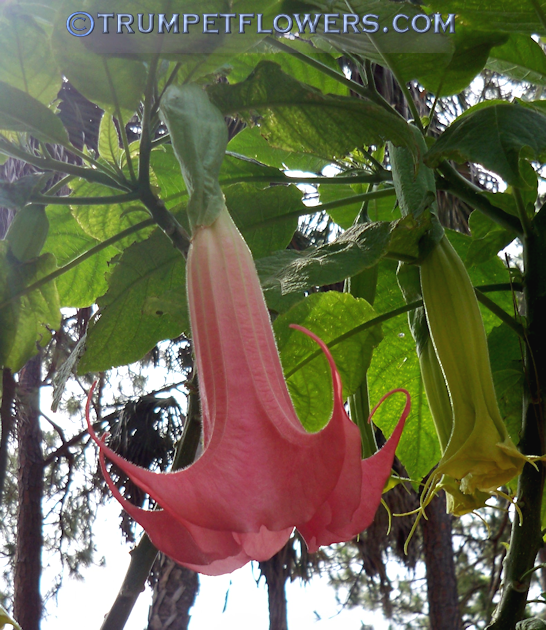 You can still smell it in the daylight hours, but the scent is weaker, unless the days are cool. 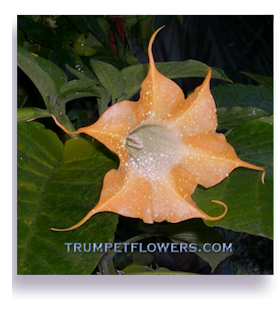 Brugmansia Madeline is one of the first I had in my collection, a creation by Mary Usina. 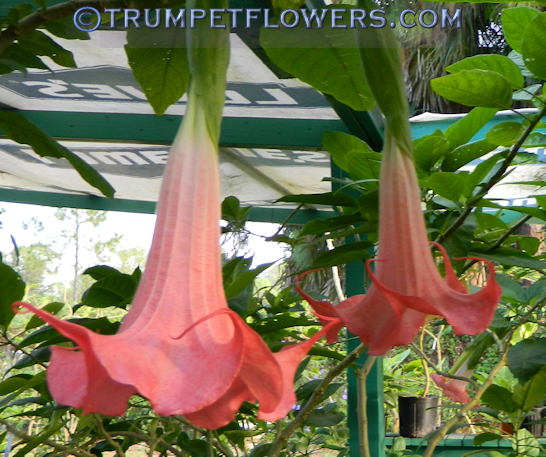 Breeding is (Ecuador Pink X Rothkirch) X Pink Velvet. 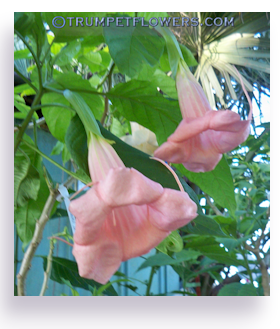 Published in 2008. 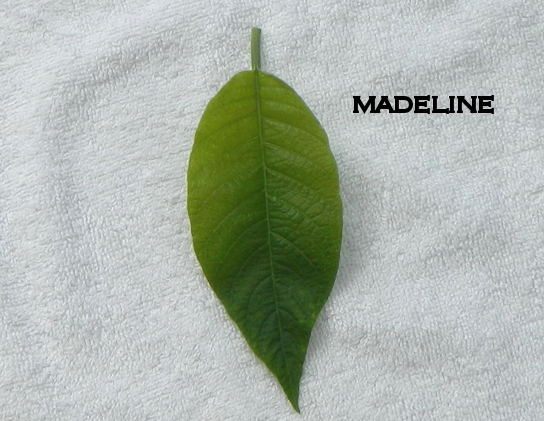 Madeline blooming on am early March, 2014 morning. 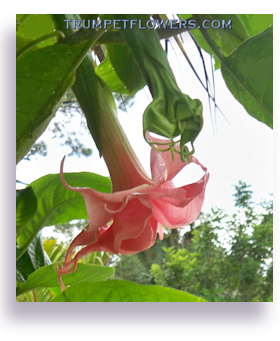 Madeline with more blooms open, a few days later. 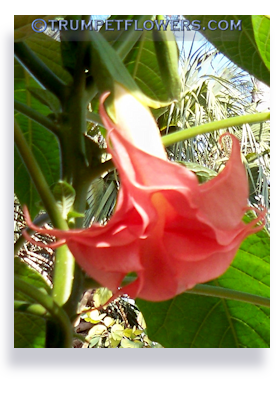 It&apos;s cool mornings and warm days that might have her coloring up like this. 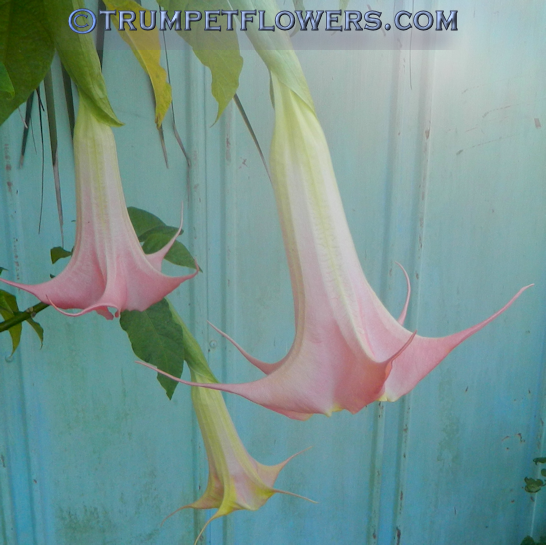 Beatiful soft pink against the blue outbuilding, yes? 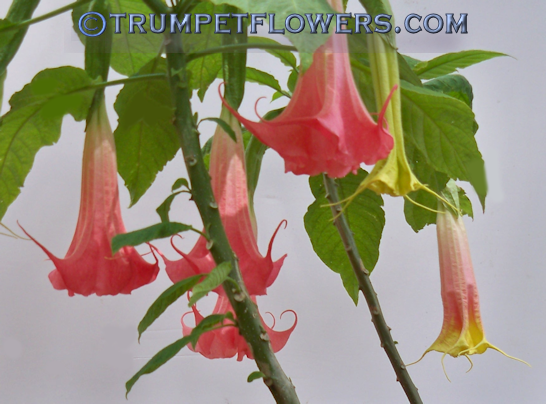 Angel Trumpet Madeline has a slightly oblong leaf, bright green in coloration, and has a bit of a leathery feel to the touch. 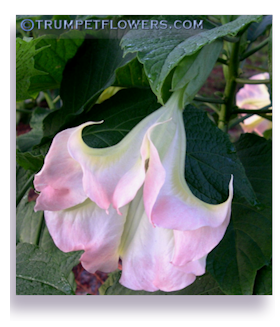 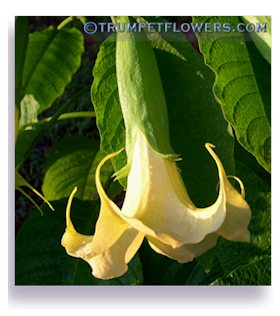 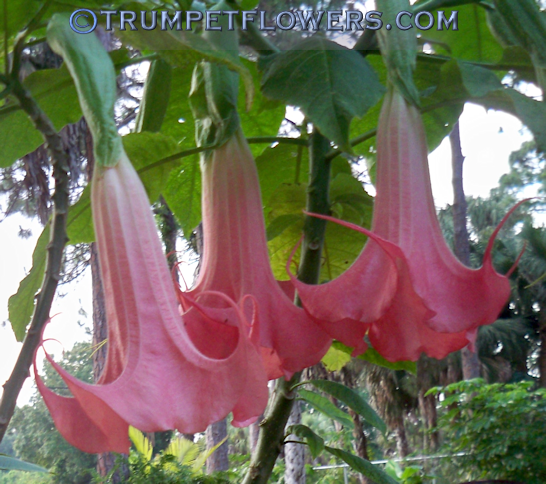 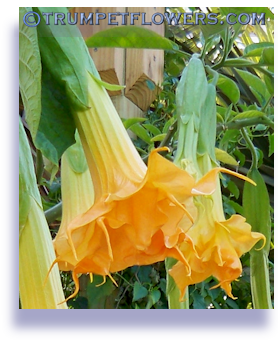 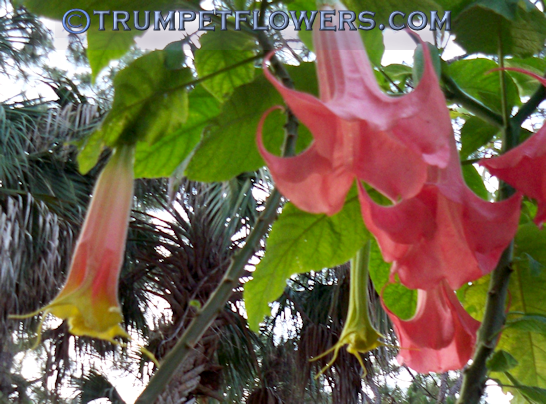 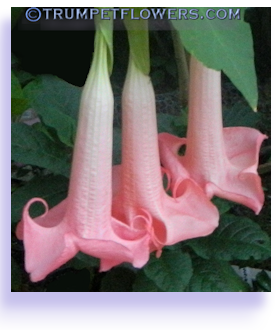 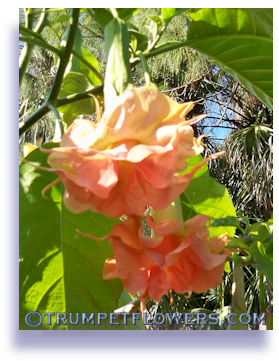 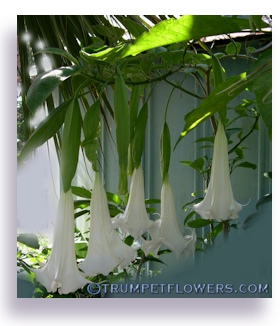 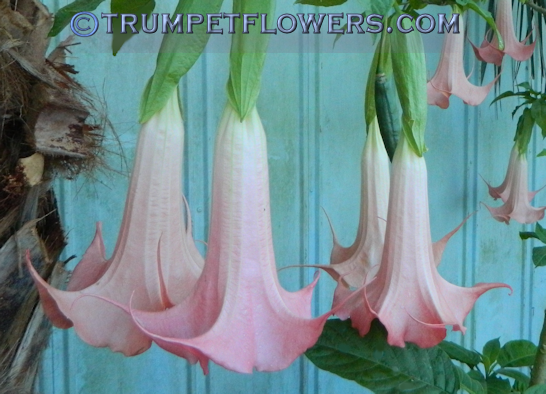 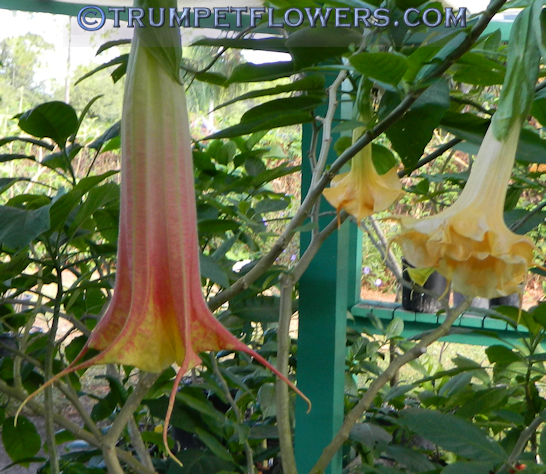 This entry was posted on April 29th, 2013 and is filed under Brugmansia Gallery.